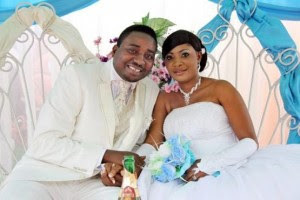 Kefee’s estranged ex-husband has landed himself a brand new bride following the separation of the couple years ago. It would be recalled that the Gospel singer fell in love and got married to her then producer Alec Godwin but the relationship was short lived following ‘irreconciliable personal differences, though they still remain best of friends after the split”. Alec got married on the 28th January 2012.